Here is another new buzz, 'infused water'. The first thing that comes to our mind when we feel thirsty is 'water'. Keeping yourself hydrated is very important and not to forget water is the most important nutrient. No doubt water is the best choice but drinking plain water every day is just like eating the same food every day, so boring and monotonous. Of course, we do not eat the same food every day then why same plain water every day. So avoid the boredom and at the same time fill your bottle, not just with water but loads of vitamins, minerals, and taste, here is a very refreshing as well as a healthy alternative- INFUSED WATER. infused water diet is good for hydration, energy, and detoxification. A great benefit with good taste is like a cherry on the cake. By improving the flavor with a healthy option, It's an easier way to achieve your recommended daily amounts. By adding fresh fruits and fragrant fresh herbs you are including essential vitamins. Infusing water with a little flavor is really simple. Fill a pitcher with water, add thinly sliced fruits, herbs or spices, and chill in the refrigerator. Hydration- we all are well informed that dehydration is linked to headaches, muscle fatigue, obesity, poor gut health and lethargy. 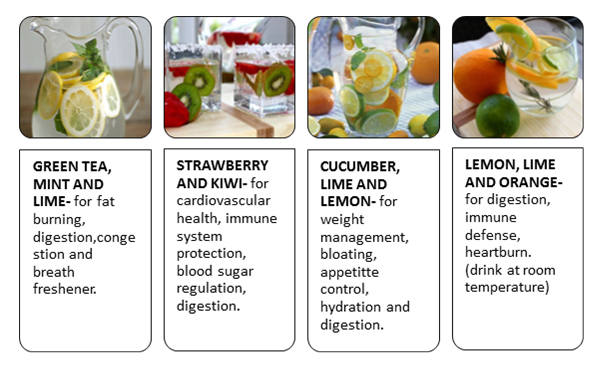 Infused water is an amazing and fun-filled way to hydrate your body and infusing your water with fruits, herbs, or flowers not only improves the flavor, but also adds essential vitamins that help your body. Go natural- this is not the same old drink like sodas or fizz which are packed with preservatives, high amount of refined sugars, chemicals, and artificial colors. It is the most natural, healthy and cost friendly drink. 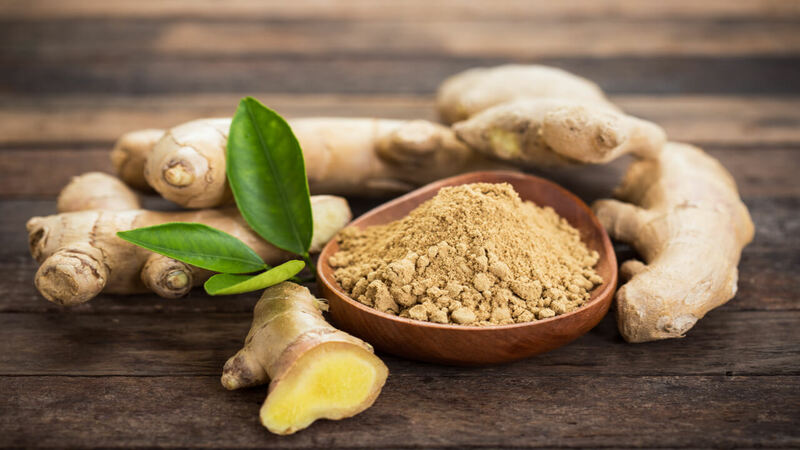 Gives a boost of energy, kick-starts your metabolism and also a very natural way to detox your system. Also an amazing way to incorporate vitamins and minerals in your child's diet. Choose ingredients you enjoy and try making infused water recipes for weight loss. So let's try some interesting mix-and-match options. Boil the water and add the tea bags to it. Remove tea bags and add lime wedges and mint leaves. Simply superb and tasty, you can make this infused iced tea and store it in the fridge for up to 3 days. Slice your kiwi in half and peel the half you're using. Thinly slice your strawberry and peeled kiwi. Add slices to your jug/carafe/mason jar, whatever you'd like to keep your water in. Fill the container with water, cover, and leave in the fridge overnight. In the morning, your water will be nice and tasty! In a big jar, layer the cucumber slices, lime wedges and lemon pieces with ice cubes. Let it chill for an hour and enjoy. In a big jar, layer the lime slices, orange slices and lemon pieces with ice cubes.